As a trusted dealer, Buy Two Way Radios doesn't just sell radios. We strive to provide guidance, information, tutorials and other resources so you can choose the radios that best fit your needs. While we are unable to support products purchased from competitors and other retailers, we do fully support the products purchased from us. In addition, we make most these resources available to the general public at no charge. Here is a complete list of our two way radio resources and where to find them on our site. Our community driven forum is online 24/7, 365 days a year and monitored daily. The forum is a great place to meet other radio users to share information and exchange experiences and ideas. It is also an excellent resource for anyone who needs advice or assistance with a specific technical question or issue. The Buy Two Way Radios Blog contains over 700 articles in 36 categories about radio products, topics, news and reviews. These articles can also be easily bookmarked in your browser for personal reference. Readers can comment on each article with questions and feedback on each article posted. The comments are monitored weekdays during normal business hours. The comment section of the blog is considered by some users as another community driven source of support, updates and information on radio related issues. What's the best way to use our web site? Which radio is best for my application? The Help Center provides links to tools, guides and basic information to keep things simple when choosing and ordering products. The Two Way Radio Show is a podcast about all things related to walkie talkies and radio technology. 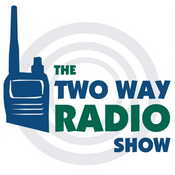 Launched in February 2011, this long running show is hosted by Danny Feemster, Anthony Roque and Rick Savoia from Buy Two Way Radios. The podcast is formatted into three basic segments: the discussion topic, the product review and the Q&A, during which the hosts answer specific questions from actual customers, listeners and shoppers to our site. Each episode covers a specified topic in great detail, which is particularly useful for those who would like a reference to in-depth explanations of a specific concept or product. Episodes are syndicated across the web through major podcast directories and platforms, including iTunes, Blubrry, Stitcher Radio and Google Play Music. Listeners can subscribe through any of these platforms, as well as from our web site. You can also subscribe by e-mail! All episodes are listed on the main podcast episodes page so you can search the topics at a glance. This is a useful tool when you want to know what's available to choose from on our site. You can narrow your choices by any combination of price range, manufacturer, and features. This guide will help you find the best choice for your needs. Simply click the answer that best fits your situation. Used online to compare the features of two different (or not so different) radios, the Product Comparison Tool is a great resource for those who are on the fence as to which radio best meets their wants and needs. This guide is an index of terms and features for each radio product. Click on the link for each term for a brief definition or explanation as to what each feature of a radio is or does. Located on the product page, the Owner Manual or User Guide will contain the basic instructions for operation of the products we carry, including directions on the use of specific features. This is often a good source for learning what a certain feature is or how it works, as well as providing information on the specifications, strength and limitations of these products. The manuals are generally available as a downloadable .pdf file. Hint: use the search feature in Acrobat Reader to quickly locate a specific term or feature. When in doubt, read the entire manual. Located on the product page, the Product sheet will have an overview of the product, its features and technical specifications. This product sheet is usually downloadable as a .pdf file. Some models may not have one, but most do. Note: most radio accessories do not have a manual or spec sheet. Videos are a great resource for a number of reasons. They are both audible and visual representations of the product so you can see them up close and in operation. Some are detailed product unboxings and reviews, others are quick introductory overviews. Some are previews of products due for future release. They can also be somewhat entertaining. Hosted from our YouTube channel, these videos can be linked to or shared with others easily. A subset of our video library, Radio 101 is a series of informational and tutorial videos an easy lesson format. They are quick and to the point, making the information easy to absorb and comprehend, usually one to three minutes in length. Radio 101 videos are useful for those who want a quick and simple demonstration of a product or explanation of a concept that may otherwise confuse them. This entry was posted in General, Articles on December 21, 2017 by Rick. The Midland GXT1000 allows you to set the power levels on select channels to maximize battery life and boost the transmit range as needed. However, there are limitations. In this episode of Radio 101, Rick Savoia from Buy Two Way Radios and The Two Way Radio Show Podcast shows you how to set the power level on the Midland GXT1000VP4 and GXT1050VP4 GMRS two way radios. He also explains which channels override this setting and why. This entry was posted in Videos, Midland, Radio 101 on December 20, 2017 by Rick. Kenwood ProTalk business radios are known for their solid performance and compact, ergonomic design. Now now they have something more, new lower prices! Kenwood has dropped the prices on some of their 16 channel radios, including their tough, intrinsically safe models! The chart compares old prices with the new, current pricing on these Kenwood ProTalk business radios. This entry was posted in News, Kenwood on December 19, 2017 by Rick. The Midland BizTalk BR200 is a very capable, yet underrated business radio. It's also unbelievably affordable. At only $90, the BR200 is priced well below other onsite business radios such as the Motorola CLS1110, CLS1410, the Kenwood PKT-23 and the 6-channel Kenwood ProTalk TK-3230DX. If that weren't enough, the BR200 can communicate with all four of those models and, at 2 watts, it has twice the wattage of the Motorolas! If you have a fleet of Motorola or Kenwood radios and want to add a BizTalk BR200 into the mix, chances are you probably can. However, you need to do a little research first to be sure your radios are compatible before you buy. How? It's easier than you think. First, check the list of assigned and supported frequencies for the radios you currently use. If you are using channels with the default assigned frequencies, check the default frequency table in your radio's manual. If you are using another frequency supported by the radio, cross reference the frequency code number assigned to the channel(s) in your radio with the list of those codes and frequencies printed in the owner's manual for each make and model. Once you know the frequency and privacy code (if any) assigned to each channel in your radio, search for the same frequency or frequency and privacy code combination listed on the Midland BizTalk BR200 Default Frequencies Chart. If you find a match, your radio should be compatible for use with the Midland BizTalk BR200. If you are using the default frequencies pre-assigned to the first one or two channels on your Motorola or Kenwood radio out of the box, it's even easier, since the BR200 may already have same frequency and privacy code configuration on the same channel. The chart below matches the default frequency and channel assignments of the Midland BizTalk BR200 with the channels of the Motorola and Kenwood radios. This entry was posted in Articles, Midland, Kenwood, Motorola on December 18, 2017 by Rick. Wouxun mobile radios are known for delivering good performance at a fair price. Two models in particular stand out in this category, the popular UHF/VHF dual band KG-UV920P-A and its powerful quad band cousin, the KG-UV950P. A little while back, TYT responded with its own mobiles, the TH-7800 and TH-9800, and at very competitive prices. Now, Wouxun is firing back with the introduction of two new models with aggressively lower price points, the KG-UVR5 and KG-UV980H. If these new models look and seem familiar, it's because they are. In fact, they are the same radios, but rebranded with the frequencies limited to only the amateur radio bands. Wouxun The KG-UVR5 is the lower priced dual band KG-UV920P and the KG-UV980H is the lower priced quad band KG-UV950P. What Wouxun did was very simple. They took the dual band KG-UV920P, re-labeled it the KG-UVR5, limited the frequencies to the 2 meter (144-148MHz) VHF and 70cm (420-450MHz) UHF ham bands right out of the box, and dropped the price by thirty bucks. Then they did the very same thing with the quad band model. They re-labeled it the KG-UV980H and limited it to the ham bands. It's the same radio as the KG-UV950P, but out of the box it's limited to the 2 meter, 6 meter, 10 meter and 70cm ham frequencies. They reduced the price accordingly. Yeah, it seems odd, but considering the features, that's a huge deal for a thirty dollar price reduction. Thirty dollars? That's a twenty percent discount. It's a significant drop in price for merely locking down the transceivers to stay only within those frequencies the hams should be using anyway. The KG-UV920P-A and KG-UV950P are popular models used by both amateurs and businesses worldwide. If you're a company in a country that uses either of these models for business use, it's business as usual with these radios. However, if you're a ham who needs one of these models but needs to save a few dollars more, the KG-UVR5 and KG-UV980H are made just for you. Buy Two Way Radios is an authorized Wouxun dealer. This entry was posted in Articles, Wouxun on December 14, 2017 by Rick. So you've reset your Baofeng UV-5R Dual Band Two Way Radio and now it's speaking in Chinese. How do you change the voice prompts back to English? In this episode of Radio 101, Rick Savoia from Buy Two Way Radios and The Two Way Radio Show Podcast shows you how to quickly and easily navigate the menu to reset the UV-5R back to the English language. This entry was posted in Videos, Radio 101, Baofeng on December 13, 2017 by Rick. When winter weather arrives, will you be ready? National Weather Service Forecast Office Goodland KS. Photo: Brad Schick, NWS. When we talk about emergency weather preparedness, the discussion often refers to spring storms, National Hurricane Preparedness Week and the annual hurricane season. However, severe weather events aren't limited to the warmer seasons. Severe weather can happen anytime, including and especially during winter. Just because the monsoon season is over doesn't mean we can let our guard down. A blizzard may be just around the corner. So here's another variation on the same old question. When winter weather arrives, will you be ready? Snow and ice storms aren't mere annoyances. They can be dangerous, destructive and devastating. Severe winter storms can create power outages, communication disruptions, and road hazards. They can make streets impassable, air travel impossible and any outdoor activity extremely limited. In some situations they can leave people immobile, trapping them for days indoors. It's not over when it's over, either. When the snow and ice begin to melt, the flooding begins. Do you have an emergency preparedness kit? If not, the time to build it is now. The Department of Homeland Security created an entire web site to help you build your own emergency preparedness kit. Called ready.gov, this site gives you more than just a simple checklist of items to have in case of an emergency. It provides valuable information about many types of disasters and helps you develop an emergency plan for survival. Sure, It takes some effort now, but it can save you a lot of trouble later, and possibly even save lives. Build A Kit lists 13 essential items you need to assemble a basic disaster kit. The most important item on this list, without question, is water. The second item is food. The number 3 item on this list is a radio. A radio is a crucial item to have in a weather emergency, after food and water of course, because it is a basic, tried and true form of communication, a technology proven time and again to be indispensible in a natural disaster or severe weather event. It can serve as an early warning system before a disaster, providing advance notice of an impending event so you can gain precious time to evacuate or prepare. Afterwards, when the power is out and other forms of communication are down, a radio can be a lifeline to the outside world, to keep you informed of relief efforts as well as potentially hazardous or threatening post-storm situations around you. There are many emergency and weather radios on the market, and they vary in features, form, and function. While their primary purpose is generally the same, these radios are not equal. Some are intended for use in the home or office, some outdoors. Some are base stations, others are mobile or even handheld. Each is designed for a specific type of operating environment, scenario or user. In other words, the emergency radio isn't for purchase as an after thought. It's a choice, based on your requirements, environment, budget and needs. At Buy Two Way Radios, we understand the many choices and options available. This is why we recently updated our Emergency Weather Radio Comparison Guide for 2017. This handy, one page guide takes all emergency and weather radios currently listed on our web site and compares their key features on a simple chart for quick and easy reference at a glance. Best of all, there is no price for this portable document. The Emergency Weather Radio Comparison Guide 2017 is FREE to download and print for your personal perusal and reference. Here is a quick overview of some popular features included with the weather radios listed on the chart and currently available on our site. For more information about choosing an emergency weather radio, listen to The Two Way Radio Show Episode 13 - Emergency and Weather Radios. This entry was posted in Articles, Weather Radios on December 12, 2017 by Rick. FREE backpack bag with purchase of a Leixen backpack radio! Note: This promotion expired December 31, 2017 and is no longer available. For a limited time, get a FREE Leixen Camo Back Pack Bag valued at $30 when you purchase a Leixen VV-898P or VV-898SP UHF/VHF Dual Band Mobile Backpack Two Way Radio! The Leixen VV-BP-CAMO Back Pack Bag is exclusively designed use with the VV-898P and VV-898SP mobile backpack radios, with a large, interior pocket to hold the radio in place and eyelets on top to allow the antenna and speaker microphone cable to access the radio from outside of the bag. It's a perfect complement to your Leixen backpack radio and helps shield it from the elements when out and about. Minimum purchase is one VV-898P or VV-898SP radio, however there is no maximum purchase limit and no promo code is necessary. Your free Leixen Back Pack Bag will added to the cart automatically at time of purchase. This offer is valid from November 27 until December 31, 2017 or while supplies last. No rain checks. This deal is available exclusively from Buy Two Way Radios. This entry was posted in Special Offers, Ham Radios on December 11, 2017 by Rick.